Mikro Livadi Residences is a new, unique family business in Episkopi, Rethymno. The lovely complex is comprised of 4 one-bedroom residences in a quiet, natural environment resplendent with olive groves and vineyards, yet very close to the sea (150m). Careful consideration has gone into preserving the agricultural land around the residences. 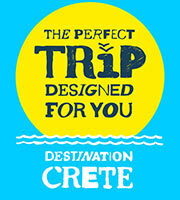 There is also the added treat of a Cretan Cuisine organic restaurant on the premises.